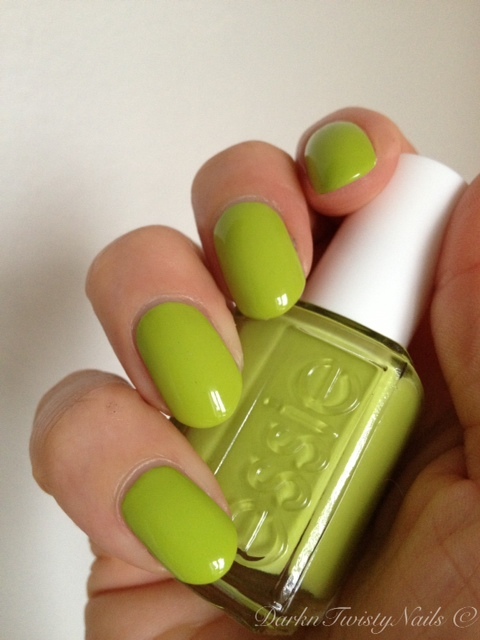 Essie The more the Merrier is a bright green polish with a strong yellow undertone. It's a really fresh and clean color and I love it. The formula however, was a little bit hard to deal with. Streaky and patchy and I had a stray hair on my brush that didn't make application any easier. This is, luckily enough, a salon polish, purchased in the States, so it does self level. 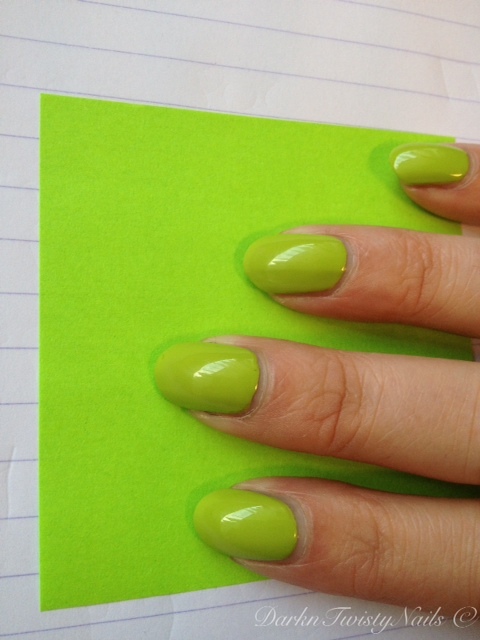 It was opaque in 2 - 3 coats and the dry time was ok. If you are wondering why I specifically mention this is a salon polish: there are 2 types of Essie polishes. A salon one and a drugstore one. They differ in 2 ways: the salon version has 15ml in the bottle and has the name on the bottom of the bottle, the drugstore version has 13.5ml and the name is printed on the cap. Over here we don't have the salon version, but we do get 2 drugstore versions, so I actually own 3 versions. The brush here is the biggest difference. We get a really wide brush and 2 options for the name. On the cap or printed on the label on the cap. US salon, NL drugsore, NL drugstore. 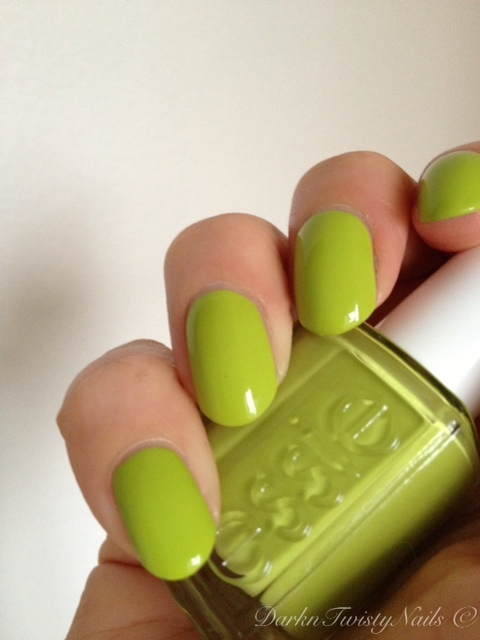 I don't like the wide brush, that's why I order my Essie polishes online. Anyway, on to the swatches. This color is so bright, it actually matches my post-itt notes, lol. 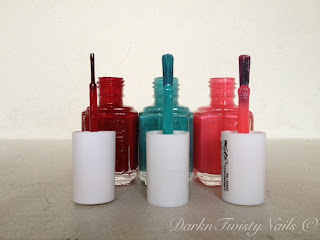 Which version of Essie polish do you prefer and what's your favorite color? Thanks Lu, I love it! It's just such a cheerfull color. 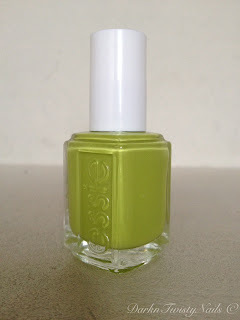 In Finland the markets only sell wide brush Essie, which I would prefer if they weren't double... So I usually buy a cheapie version from abroud. I can only get the wide brush version in store here too, so I order mine online from the States.